If you only care about the holidays that you can enjoy outdoors, then the Holiday Collection is perfect for you. This aluminum-framed collection is naturally rust-proof and further reinforced by the durable powder-coat finish. The ergonomic shape offers clean, contemporary lines while offering a supportive sling seat. The sling fabric is quick-drying and easy to clean. Create your perfect outdoor space with the Holiday Aluminum Sling Collection. New to the Holiday Collection this year is the 37"x71" rectangular patio table. 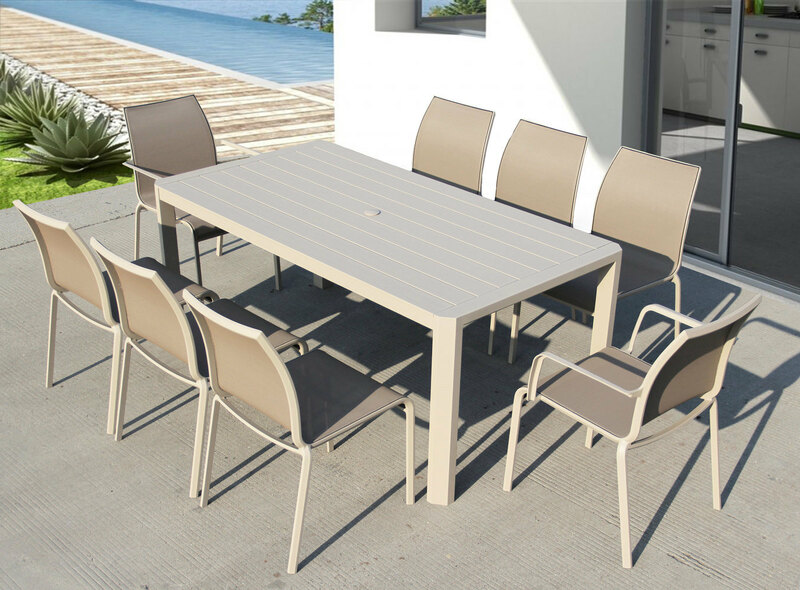 The table's powder-coated aluminum construction ensures years of lasting durability, while the chic slatted design adds a touch of sophistication to any space. Pair with coordinating chairs from the Holiday collection and a colourful umbrella (not included), and turn your patio into a chic outdoor party room.